The point of preventive dentistry is to keep your smile healthy by avoiding potentially threatening issues, but cavities and periodontal disease are not the only threats to your dental health. Bruxism describes the consistent grinding of your teeth, which for many patients can occur most often at night. 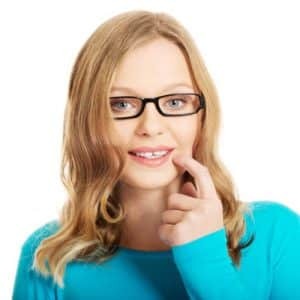 TMJ disorder is a dysfunction in your jaw joints that can be caused by untreated bruxism, or by other issues that affect the balance of your bite. To treat bruxism and TMJ disorder, your dentist may be able to custom-design an appliance that protects your teeth from grinding and helps alleviate stress on your jaw joints. Bruxism can often go unnoticed until your dentist detects the wear and damage to your teeth resulting from it. The condition can be caused by a multitude of different factors, from excessive stress and anxiety to an imbalance in your bite or tooth alignment. If your teeth already exhibit damage by the time you seek treatment, then you might also require an appropriate restoration to repair the compromised tooth structure. TMJs, or temporomandibular joints, are the two large joints that connect your jaw to the temporal areas of your skull (just in front of each ear). TMJ disorder can describe a variety of different conditions that affect the function of these joints, and typically, the disorders can cause varying types of chronic discomfort. In many cases, TMJ disorder is caused by undue pressure on the joints, which results from an imbalance in your bite that forces the jaw to compensate. An oral appliance can often help your jaw find better balance, though in severe cases of bite misalignment, you may also require another form of corrective treatment.